Try as I might, I have not been able to get into Valentine books this year. I've seen lots of cute lists with many books we have not read, but somehow I can't bring myself to put them on hold at the library. I don't know if it's me or if I think the boys won't like them or if they just look too similar to other Valentine books we've read in the past. I shouldn't try to dissect it. 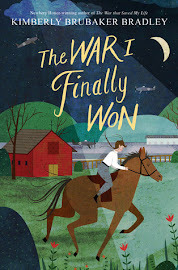 It is what it is, and maybe I'll be all excited to read a bunch of red and pink books next year. But I couldn't let the holiday go by without giving it a bookish nod in some way. And so, in honor of the day of love, and because I've been meaning to write about these books for a long time, here are three of our very favorite books about two of our very favorite friends: Elephant and Piggie. I've alluded several times to how much we love Elephant and Piggie in this house. It's not a tidbit of information I try to keep hidden. In fact, when I went to my education group meeting last month, the host asked us to bring favorite family read-alouds, and so of course, I brought a couple Elephant & Piggie books to share. Some of the moms had never heard of them, a couple of them had, and one mom in particular acknowledged them in a disdainful way (or maybe I just inaccurately read the disdain because I'm overly sensitive when it comes to books I love). At any rate, no matter how scornfully you look at me, I will not be swayed in my love for Elephant and Piggie. Elephant and Piggie are best friends. Elephant's name is Gerald, and Piggie's name is Piggie. Each book's story is told through a series of word bubbles--a conversational exchange between the two friends (with an occasional appearance from another character). The books explore all kinds of subjects: trying new things, developing talents, sharing, being kind, and being creative. But mostly they are just about two friends who love to do things together. The illustrations are incredibly simple. Usually it is just Gerald and/or Piggie on a blank white page. But their expressions are as varied as snowflakes in the sky. In fact, much of the story is told by their expressions without any help from the text at all. Because of this, even young children can look at the book and figure out what is going on. There are a host of emotions that are conveyed on their faces and by their actions. 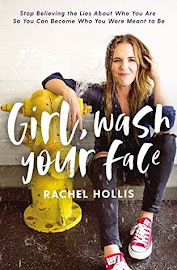 I'm amazed with how much I feel every time I read one of these books (and I've noticed both myself and my kids unconsciously mimicking their faces). I had read (and liked) a couple of Elephant & Piggie books before I read this one for the first time. But this was the book that turned me into something of an obsessive fan. Before then, the books were cute and funny, but this one was GENIUS--and hilarious to boot. 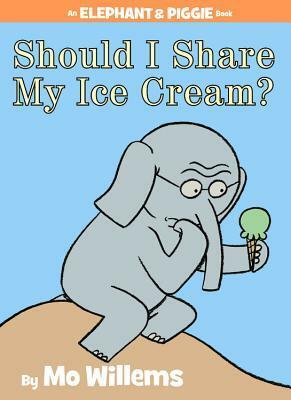 It made me understand Mo Willems' humor, and consequently, after that, the ones that were only a little bit funny before were really funny when I read them again. When the story begins, Gerald and Piggie are sitting back to back, just shooting the breeze. All of a sudden, Gerald realizes something. "Piggie!" he says, "I think someone is looking at us." Sure enough, Piggie discovers Gerald is right, and it's not just anyone, but a reader. Suddenly, Piggie thinks of a great idea: since the reader is reading their word bubbles, they can make the reader say anything they want. Piggie tries it out with the word, "Banana," and of course, the "reader" says it, and it is seriously the funniest word ever. No one, I mean no one, can read that section of the book without cracking up. But then, the fun and games come to an abrupt halt when Piggie inadvertently mentions that the book will end. Gerald launches into a full-blown panic attack until Piggie comes up with a great idea. I brought this book to Colorado with me over Christmas, and it was read by virtually every member of my family (and remember, I have a BIG family). Pretty soon, they were selling the book to each other. After my (26-year-old) brother read it, he forced his wife to read it, too. And I don't think I've ever heard my dad laugh so much at a picture book. He was chuckling at every page. Aaron and Max were only too happy to oblige and listen to it over and over again. 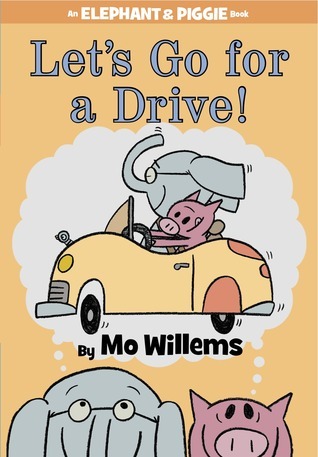 Somehow, Mo Willems has found the perfect combination of short, witty text, simple, detailed illustrations, and timeless humor to make these books equally appealing to both adult and child. It is a rare talent. There's also a surprise little twist at the beginning (yes, beginning). If you go back to the first page, you'll notice Piggie giving a wink and saying "thank you." I didn't even pay attention to this until I'd read it at least a dozen times. In fact, I think it was Mike who finally pointed it out to me. At the end of the story, Piggie makes a request of the reader, and the wink and the "thank you" are her acknowledgement that the reader followed through. This cyclical spin on the book makes it even more delightful. I actually heard this book for the first time while sitting in on a little nursery lesson at church. The kids were captivated, but so were all the adults (including me!). It was actually kind of amusing to hear the other adults laughing and gasping and awww-ing. There you go again, Mo Willems, making adults AND kids love your books. What an underhanded marketing ploy. If you have children in the 0-3 range, I don't need to tell you that there are a lot of books about sharing out there. You'd think this was a difficult concept for two-year-olds to grasp or something. And while I have nothing against teaching this important life skill, I will say that I find a lot of these books . . . mushy . . . preachy . . . even boring sometimes. But this book, THIS book, is not like any of THOSE books. I mean it. And it teaches the heart of sharing better than any other book I know. It is funny, a little heartbreaking, but ultimately shows that the best reason to share is because it will help your friend feel happy--and then you'll feel happy, too. This is the latest Elephant & Piggie book. 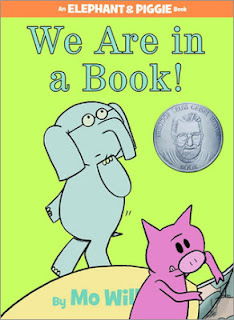 It came out in October, I believe, and nabbed a Geisel Honor last month. In this installment, Gerald has a great idea: He and Piggie should go for a drive. Of course, Piggie is game. They are both so excited until Gerald emphatically tells Piggie that they must have a plan! They need a map! Fortunately, Piggie has a map. Gerald continues to think of things they might need, and Piggie generously supplies every request until . . . Gerald asks for the biggest and most important need of all. So yes, there is a surprise twist to the ending; two surprise twists, actually. The first, when all their hopes and dreams are dashed; and then second, when they make do with what they have. Surprise endings are one of the things Mo Willems does best. And the surprises are always so funny. I think this book really showcases the differences in Gerald's and Piggie's personalities: Gerald is a worrier. He has a lot of anxiety. He is very much a Type A type of elephant. Piggie is the opposite: carefree, go-with-the-flow, look-on-the-bright-side. The really amazing thing is that these personalities are conveyed with only a few words and a few simple drawings. So if you're like me and wanting to celebrate Valentine's Day without a book that actually says, "Valentine's Day" on the cover, then check out these three books: they'll warm your heart, make you laugh, and show you just how important and special it is to have a friend who always has your back. 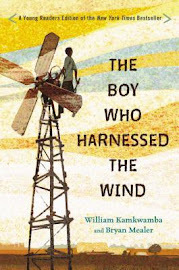 I shared this post with The Children's Bookshelf. We LOVE Elephant and Piggie books, too. We haven't read Let's Go For a Drive yet, but I'm sure we will love it, too. Oh yay! Another Elephant and Piggie lover! I'm glad I'm not alone! We are in a Book is our ABSOLUTE favorite Elephant and Piggie book! I love that this is the one that "turned" you. I agree that it is genius and even though the kids love all of the elephant & piggie books this is the one that they are saddest to send back to the library. Love, love, LOVE Elephant & Piggie! I think We Are In A Book is my favorite, too. I don't think you'll regret buying them (at least, I hope you won't! :-)). Never be dissuaded from your love of Elephant and Piggie! They are terrific! I picked out one of these for Bobo last week, There is a Bird on your Head! Wow, he loved it. This week he chose I broke my trunk! He "read" in on the drive back from the library. I think they are going to be a favorite series. Thanks for stopping by my blog, too! We LOVE Elephant and Piggie. My kids are second language learners, and these books are the first ones they started spontaneously trying to read themselves, usually by requesting to "be" one of the characters as I read aloud. I agree that the facial expressions are priceless. My daughter's kindergarten teacher also used them to show things illustrators do to show emotion, motion, shadows, etc. It hadn't occurred to me that kids need to be explicitly taught those things, so I thought it was brilliant. These were some of the first books that my oldest really read to himself. They all love trying to find the pigeon in each book. We were just reading I Will Surprise My Friend last night and I had to read it twice because as my four year old said, it was just so funny! I love that it is funny each time and not just the first time when the twist surprises you. They are one of the kids books that I will pick up and just read to myself if I have no one to read it to.